Noble group has been downtrending since last year July, if falls from $1.40 to $1.00, and now it is back to $1.11. Previously our system successfully show bearish signal when the price start falling where the Green candle change to Orange. 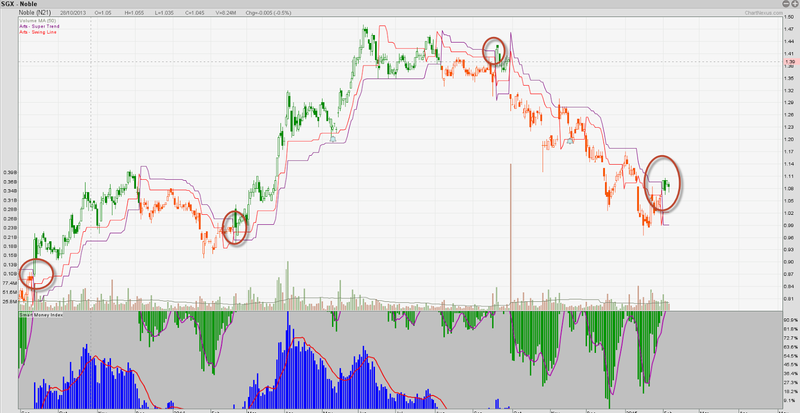 Now our ART Supertrend system show green again, for mid term trade this could be a possible turn.